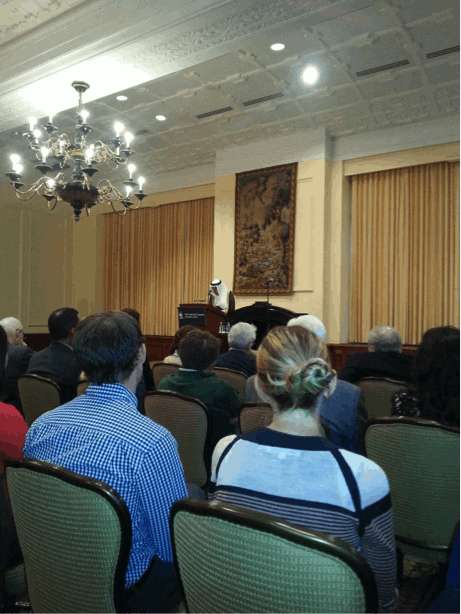 Just a week after the 13th anniversary of the September 11, 2001 terror attacks, the new Secretary General of the Organization of Islamic Cooperation (OIC), Iyad Amin Madani, addressed a select audience at an American Islamic College (AIC)-sponsored event at the Chicago Council on Global Affairs. In a carefully-crafted message delivered on 17 September 2014, in which the OIC Secretary General was to discuss contemporary challenges facing the Muslim world, he charged that “Americans are not terribly famous for caring about the rest of the world.” Echoing lines promoted by the U.S. administration, Madani also declared that the Islamic State (IS) has no nexus with Islam and issued a warning to those critical of Islam. He also characterized Israel’s Operation Protective Edge in Gaza as illegal. The AIC, known for its religious interfaith dialogue program in Chicago involving leadership figures from the Muslim Brotherhood, was established in 1981 as the only Islamic institution in the U.S. authorized to grant university degrees. Likewise, its relationship with the OIC is not a new one. 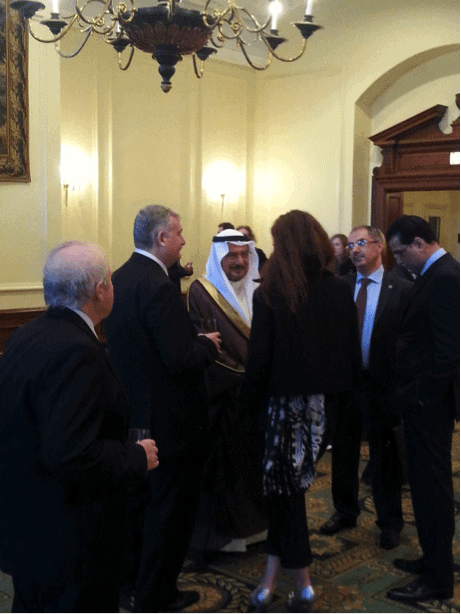 In an earlier chapter of their collaborative relationship, the OIC and AIC co-sponsored a conference focused on “The Role of the OIC and the Scope for Its Relations with American Muslims” in September 2010. The following year in September 2011, the AIC and OIC joint conference Islam and Muslims in America included Obama administration appointee Rashad Hussain, the U.S. Special Envoy to the OIC. The evening before Madani’s 17 September speech, the program featured his keynote address for the AIC’s 2nd Annual Convocation Ceremony. 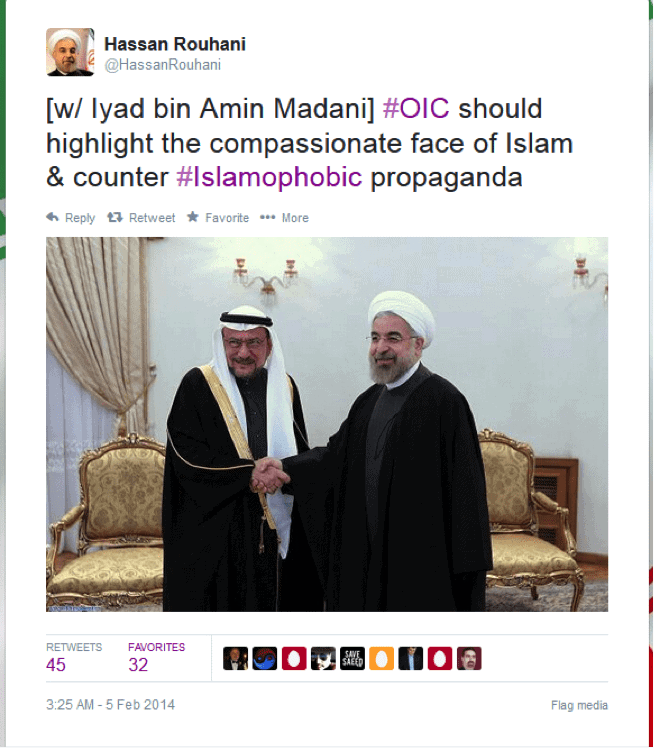 As Madani warned his Chicago audience about speaking against Islam, he was only reminding them of the OIC’s 10 year strategic plan, established in 2005 in part to advocate for an anti-blasphemy law regarding Islam. About freedom of expression, Madani made clear that, for Muslims, Islam is off-limits, saying that it “should not reach religious tales…we think freedom of expression ends there.” Attempting to draw an analogy about the discussion of sensitive subjects in American society and “insulting” or “contextualizing” a religious faith such as Islam, Madani continued “You have to give the same privilege and rights to others. There are certain limits to which the freedom of speech can reach where social values of one society should be considered as human values” and that insisting on free speech about such things is a “breach of human rights.” Although left unspoken by Madani, his reference to “human rights” clearly was meant to evoke for his Muslim audience specifically and only those rights permitted under shariah (Islamic Law). The OIC Secretary General also decried what he termed “extreme pressure from the American foreign policy establishment” placed on the sixteen member countries of the United Nations Human Rights Council to not form a special session led by the OIC to investigate purported Israeli war crimes. Agitated by this matter he concluded, “The only country that voted against that was the United States of America.” In July 2014, Madani had Tweeted his disapproval of the American position on Twitter. While both the OIC and Secretary General Madani declare that Boko Haram and the Islamic State “…have no relationship with Islam,” the reality is that non-Muslims in Iraq and Syria are being slaughtered by Muslims who declare their authority derives from Islamic doctrine. The Islamic State is committed to the complete subjugation or annihilation of the Christian and other former ethnic majority people of the Middle East and eradication of their ancient historical roots in the region. Islamic State jihadis systematically are marking Christian homes with the Arabic letter “N”, which is shorthand for “Nasrani,” meaning Nazarene or Christian. The infamous triple choice of Islam – convert, pay the jizya, or die – derives directly from Qur’anic verse 9:29, and intends ultimately to make the Middle East birthplace of Christianity “Christian-rein” as, with the exception of a vibrant Israel, it virtually already is for Jews. The savage Qur’anic punishments laid out in verse 5:32-33 await all those who refuse to be dhimmis. Meanwhile, Saudi Arabia, the home country of OIC Secretary General Madani, is ranked as one of the top ten countries in the world regarding the most extreme persecution of Christians. The government of Saudi Arabia has banned all churches, synagogues, and temples. Not only does the government deny recognition or protection of any religion other than Sunni Islam, it prohibits the open practice of any other religion. Apostasy is punishable by death, as per shariah. This is the ideology and world view welcomed with open doors by American Islamic College (AIC), the Chicago Council on Global Affairs, and the American citizens who attended their event.